What an enlightening and awesome show we had with Shoshi Herscu, an Investigative Journalist and Writer from Israel, on 3-17-19. The topic was “Manifestations of the Mass Awakening.” Shoshi shared her own story of how she awakened to the dark agendas of the world Elite controllers by first discovering the chemtrails and that lead her down the “rabbit hole.” She talked about how this awakening is being manifested worldwide in Iran, Mexico, Brazil, Russia, France through meditations and on social media. The deep state used the social media as a way of surveilling us but we turned it into a way of bringing truth to awaken humanity! Shoshi spoke about her own her shift in perception in how she saw people truly trying to make a difference in making the world a better place and bringing truth to light. She also talked about where we are in the Great Awakening with Trump’s Space Force and what she knows about the Military Tribunals. Shoshi shared with us a philosophy called “Contributionism” being done in different parts of the the world where such communities become self sufficient and the need for money is obsolete! There was so much MORE shared, so be sure to watch the show! I have also a link here to the different articles and information she spoke about on the show! This awakening is manifested differently worldwide. I’ll mention the most recent example of the great awakening that I became aware of the Restart opposition movement in Iran. They claim that there is a global civil war, as part of the population worldwide awakens. They want to start from the beginning. Not a reform. This means: separation of church and state, love, individuality, freedom. As in the case of the newly elected president of Mexico, Lopez Obrador, who is an anti-globalist, anti-cabal/NOW, just as Trump. The same applies to the newly-elected Brazil’s president Jair Bolsonaro, who is often called “Trump of the Tropics” is also a nationalist and anti-globalist as the new Mexican president. I should mention that they both won in a landslide. You can see the same trend on the other side of the pond in Europe, including Poland, Hungary, the UK with Brexit, the Yellow Vest protest in France which will eventually lead to Frexit. New economic models like Ubuntu Liberation movement which is led by Michael Tellinger are becoming more widespread worldwide, including in developing and developed countries alike – the US, Canada, and the UK. The model creates “a totally new system that turns competition into collaboration,” a philosophy known as Contributionism. I also see increasing numbers of independent journalists providing excellent intel and interpretations like Jordan Sather on his YouTube channel “Destroying the Illusion” (within less than a year he gathered over 100k subscribers), YouTube channels providing spiritual information about the ascension process like Victor Oddo’s “Channel for the Awakening,” or such alternative sites like Emet Aheret (Another Truth in Hebrew). People are simultaneously protesting against GMOs, forced vaccinations and other topics worldwide. There’s a popular saying: “We’re the ones we’ve been waiting for.” It’s true, and the worldwide paradigm shift today proves this saying. 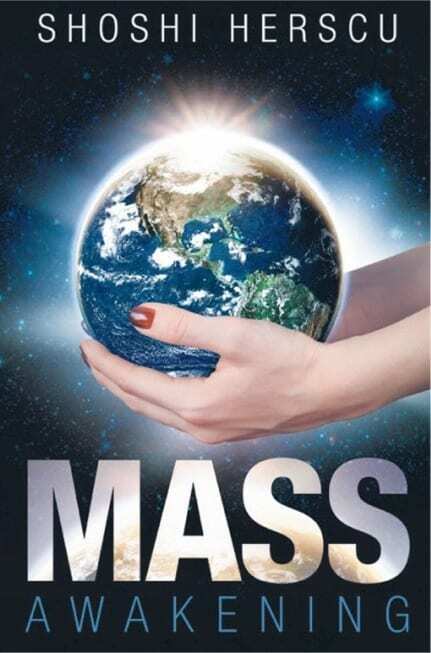 Mass meditations is another form demonstrating this shift in consciousness occurring today. Some 250,000 people participated in the solar eclipse meditation worldwide on September 21, 2017 to accelerate this positive shift in consciousness, and many continued meditating to dissipate further engineered weather events which surprisingly enough worked. More recently about 300k-400k participated in a mass meditation to help accelerate the Event, an event described as a solar flash that instantaneously will shift human consciousness into 5D. These are indeed amazing times, both scary and exciting, as drastic change appears to be happening all at once. The shift in my perception is two-fold: one, I became suspicious of anything offered by the conventional means, including medicine, MSM (I threw away the TV set two years ago), our food supply, the legal system. Suddenly, I realized that everything is rigged. I felt that I needed to be silent, but I couldn’t on the other hand and people either ignored or ridiculed what I was saying. I felt very alone and awkward. I wished I could be like everyone. Asleep. It’s so tough to be awakened! Since my awakening to this expanded reality, I have come to see humanity in a different light—more positively. I have much greater appreciation for humanity today than a few years ago. I’m seeing a lot of courage, determination, and perseverance in places I’ve never expected to find it, as well as the blossoming of wisdom. I didn’t anticipate this new trend and I’m glad that it is happening. I’ve also recognized that I have a lot of prejudices and that by becoming aware of them, I can confront and deal with my narrow-minded attitudes. Some of the people around me don’t like when I’m sharing this positive outlook for humanity. They prefer to believe what they are familiar with, consensus reality, but then they’ve never tested their beliefs. I did and continue to do so on a daily basis. It’s a never-ending process. The Yellow Vest peaceful protests continue spreading across France since last November for the 18th week in a row! the French police is increasingly becoming more brutal and now use semi-automatic weapons with live ammunition! Protesters were killed and some lost eyes, legs but they continue. This protest is much more than about demanding Emmanuel Macron to resign, it is about regaining their sovereignty and rid themselves off globalism, which is actually a global dictatorship, a wolf in sheep’s clothing. Russians are also awakening and I received a news update from my friend in Moscow, who attended a rally against Vladimir Putin, the President of Russia, threat to cut of Russia from the Internet. You can watch the video and pictures that I’ve uploaded to my Facebook and Twitter author’s pages. Many people are skeptical whether the military tribunals have started, so I decided to share with you my thoughts about it. In one of Edge of Wonder recent episodes, David Wilcock said that these tribunals have started and proceed for a while, according to his sources. However, they are secret. It’s the middle-level people, not the top ones yet. But it will come. Please understand that even if certain politicians are very famous and celebs, they are only the front face of the Cabal/DS. We don’t even know many of the top ones. Wed. March 20: Military Tribunals began in various secret locations on Jan. 2 and the 9/11 Tribunal began at GITMO on Jan. 28. The FISA Warrant Tribunal was set to begin on March 20 at GITMO. These are historical times, fellow earth patriots wherever you are. By talking about and planning this space force, Trump, intentionally or unintentionally, seeds human consciousness and helps accelerate the long-awaited “full disclosure”, including about free energy and anti-gravity, secret space programs, and extraterrestrials, which will in turn accelerate the global mass awakening. By free energy and anti-gravity, I refer to those technologies described in the excellent documentary “Thrive” (not the use of solar, wind, or other such resources that are often erroneously called “free energy”). Hang on in there while this control system is being dismantled worldwide. The best is yet to come.